Brand Me! - The 1% Edge: Essential Career Success Strategy - Are You Adding Value? 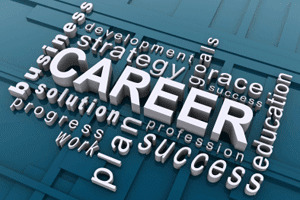 Essential Career Success Strategy - Are You Adding Value? Audio lesson: 2 mins. 44 sec. 3.......Right click the MP3 FILE - MP3 File link to download and "save as" to your hard drive for continuous listening or to transfer to your mobile device. A USEFUL CAREER STRATEGY - HOW ARE YOU ADDING VALUE? In reality when you read a job description, I’m gonna guess that in some cases it was conceived a while back and in different circumstances. This may not be true for everyone, but I wonder if you now are doing things beyond what is described. Job descriptions and responsibilities are so fluid today. 1. Ask yourself this question: What are the overall needs of my company, team, and department right now or for the first quarter of 2009? 2. Make a list without any judgment or editing. 3. Now look at the list and see how you can incorporate any of those needs within reason into your daily work experience. Remember, one important component of managing a career is really managing the perception of how you’re doing. You are in charge of that and the value that you give. Make sure you keep track. What you’re doing may not be immediately obvious and since it may not be in your formal job description, you’ll want to use for discussion during a review. To me, this attitude is essential in perhaps reducing the possibility of lay off should they occur in your organization. As a manager, one way of adding value is doing so through the collective group. How do you do that? Take the exercise suggested above. Ask each of your team members to do the same. Meet one on one and see what they come up with. Boy this could be valuable exercise in lots of ways. How can you as a manager add even MORE value? Do the same exercise as a collective team…asking the question, “How can we as a group add value in this quarter? Haven't downloaded the coolest free professional development app on the market? Info to the right - or click here to learn more.